We make subwoofers. That’s it. Nothing else. No distractions. Nothing to steal our focus. No kidding ourselves that we can be good at everything. 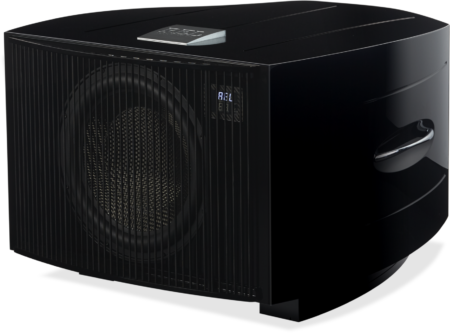 Because we have found that the perfect subwoofer can transform an entire home theater system by providing a deep floor rumbling foundation of bass, while adding depth and clarity to the mid-tones, allowing the speakers to spring to life, expanding the entire soundstage. From the No. 25, our largest reference level subwoofer, to Serie T/i, our most accessible line, each subwoofer is designed to integrate holistically with a system of proportional power; never sacrificing quality and craftsmanship, only adjusting size and innovating on materials to strike that perfect balance of speed, power and range.